Mumbai-based placement service provider, A Consultancy had lost all the files and folders stored on its 16 GB Samsung Pen Drive. The company saved business-critical data on the storage drive, which it cannot afford to lose. Therefore, client is desperate to recover the lost data, which was once present on the drive before turning inaccessible. When the client connected the Pen Drive to a computer, the system did not recognize the drive. The client had two options to get back the lost data from its non-detected Pen Drive, either use a data recovery software or take support from a data recovery company. 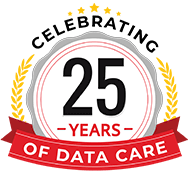 Owing to the uncertainty and inexperience for data recovery, the client preferred to go for the pen drive data recovery service instead of data recovery software. A representative from the consultancy visited Stellar Data Recovery Mumbai branch and submitted the pen drive for data recovery. After receiving the Pen Drive, our technical team initially analyzed the drive and found that our test system detected it but no files and folders were accessible. The flash drive turned inaccessible due to the corrupt file system. Accordingly, the data recovery team needed to repair the logical damage. 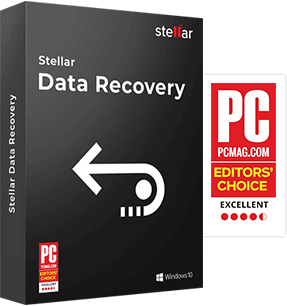 Next, the team used Stellar’s proprietary data recovery tools to scan the drive. When the scanning process was over, all the deleted files were visible in the scan result. They selected the complete files & folders list and saved them to an external recovery drive. When the team tried to open the recovered data, it did not open due to corruption. Next, the team repaired the corrupt files using our proprietary data repair tools and generated data in a directory structure. Lastly, they copied the recovered data to the client’s storage drive with the original folder structure together with the RAW format. We conveyed the success news to the client and requested to visit our service center for verifying and getting the Pen Drive with the recovered data. The representative visited Stellar Data Recovery Mumbai Service Center to check the recovered data of the Pen Drive. The representative checked all the files and folders and was happy to win back the company’s business-critical data. The representative then expressed his gratitude towards Mumbai team for doing a fantastic data recovery job.